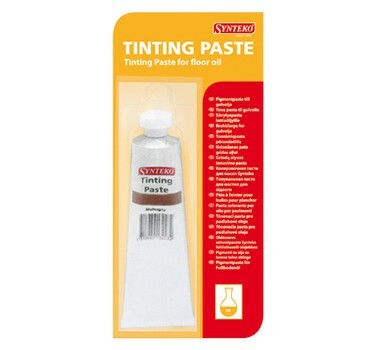 Synteko Tinting Paste consists of seven different coloured pigment pastes to be added to Synteko Hardwax, Natural and Domo OIL’s. By adding Synteko Tinting Paste to the floor oil, the wooden floor can be coloured as desired while at the same time maintaining all the benefits and excellent properties of the penetrating oil. The tinted oil highlights the natural grain of the wood whilst providing the wood with a clear deep colour.